Wyoming welcome sign as Interstate 80 West enters the state from Nebraska. This welcome sign is definitely one of my favorites. (Photo taken 5/17/13). Interstate 80 West at Exit 401: To WY 215 - Pine Bluffs. The Wyoming Welcome Center is also located off this exit. (Photo taken 5/17/13). Interstate 80 West shield at mile marker 401. I apologize for the bright sun in these pictures from here to Cheyenne. I did the best I could. (Photo taken 5/17/13). Interstate 80 West at Exit 391: Egbert (Photo taken 5/17/13). Interstate 80 West at Exit 386: WY 213 / WY 214 - Burns / Carpenter (Photo taken 5/17/13). Interstate 80 West at Exit 377: Hillsdale (Photo taken 5/17/13). Interstate 80 West at the Port of Entry, located near mile marker 371. Commercial vehicles will have to stop here and present all applicable permits to authorities, and are also subject to inspection. (Photo taken 5/17/13). 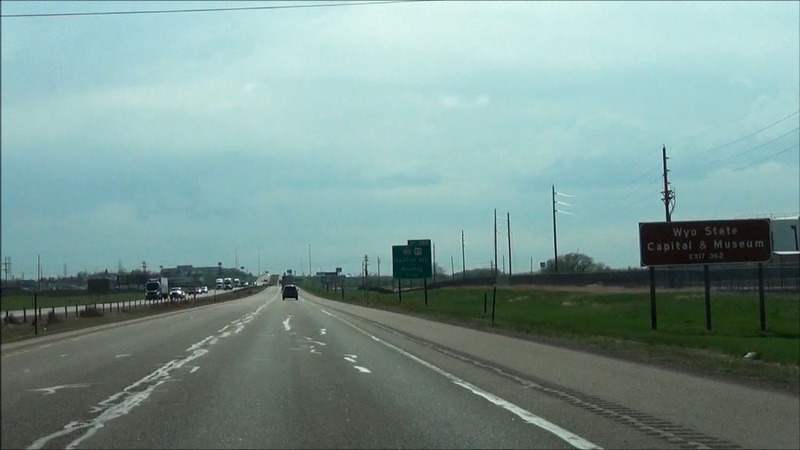 Interstate 80 West at Exit 370: US 30 West - Archer (Photo taken 5/17/13). Take Exit 367 to Wyoming Hereford Ranch. (Photo taken 5/17/13). Interstate 80 West at Exit 367: Campstool Road (Photo taken 5/17/13). Speed limit sign located near mile marker 365. The speed limit on all rural stretches of Interstate in Wyoming is 75 mph. (Photo taken 5/17/13). Take any of the next 4 exits to Cheyenne. (Photo taken 5/17/13). 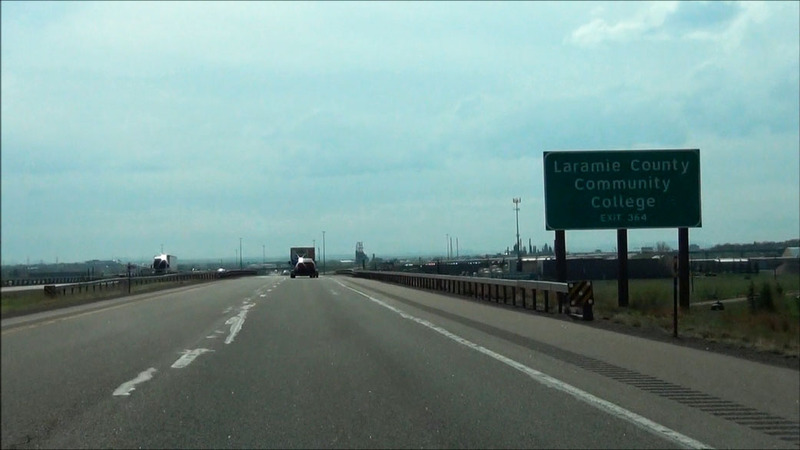 Take Exit 364 to Laramie County Community College. (Photo taken 5/17/13). 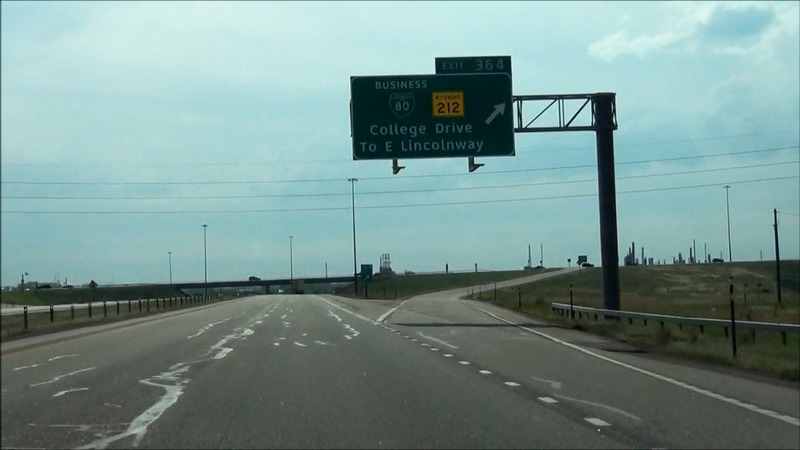 Interstate 80 West at Exit 364: Interstate 80 Business Loop / WY 212 - College Drive / To E Lincolnway (Photo taken 5/17/13). 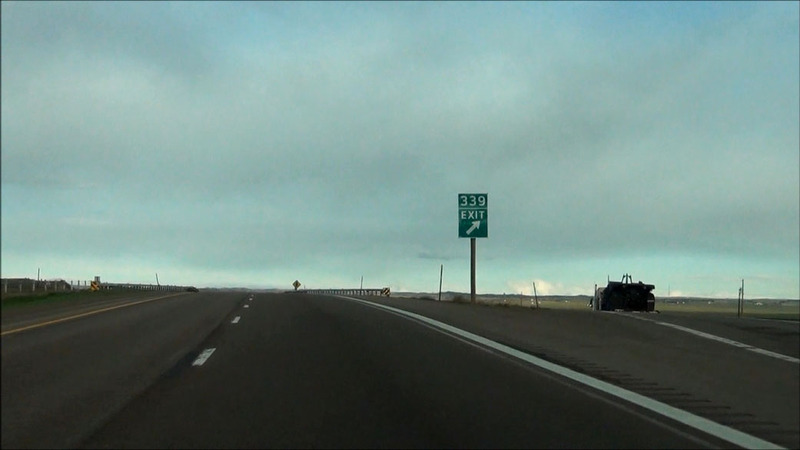 Take Exit 362 to the Wyoming State Capital and Museum. (Photo taken 5/17/13). Interstate 80 West approaching Exit 362 - 1 mile. (Photo taken 5/17/13). Take Exit 362 to the Central Business District of Cheyenne. (Photo taken 5/17/13). Also take Exit 362 to Frontier Park and Fairgrounds, as well as the Old West Museum. (Photo taken 5/17/13). 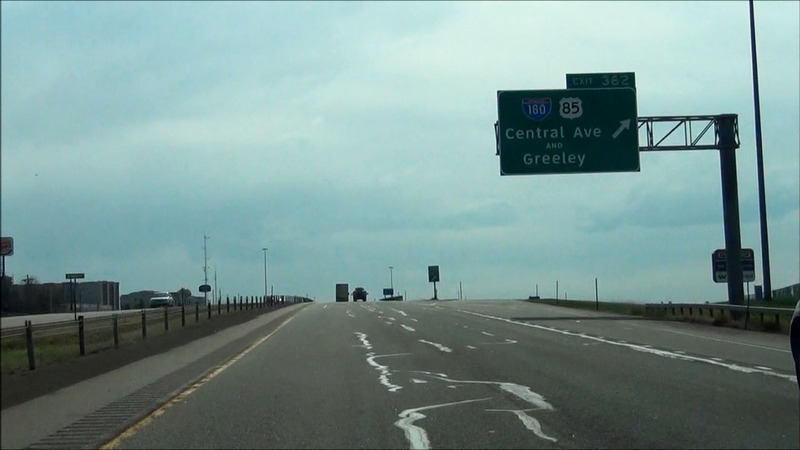 Interstate 80 West at Exit 362: Interstate 180 / US 85 - Central Ave / Greeley (Photo taken 5/17/13). Interstate 80 West approaching Exit 359C - 1 mile. (Photo taken 5/17/13). Interstate 80 West approaching Exit 359A - 1 mile. (Photo taken 5/17/13). 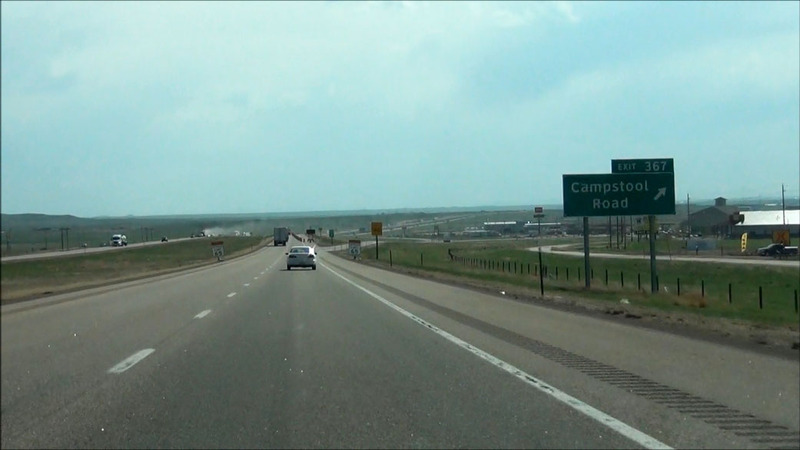 Interstate 80 West at Exit 359C: Interstate 25 / US 87 North - Casper (Photo taken 5/19/13). Interstate 80 West at Exit 359A: Interstate 25 / US 87 South - Fort Collins (Photo taken 5/19/13). Interstate 80 West shield located near mile marker 359. (Photo taken 5/19/13). Interstate 80 West at Exit 358: West Lincolnway (Photo taken 5/19/13). Take Exit 357 to NCAR - Wyoming Supercomputing Center (NWSC). Whatever that means. (Photo taken 5/19/13). Interstate 80 West at Exit 357: WY 222 - Roundtop Road (Photo taken 5/19/13). Near mile marker 357, this digital sign is warning motorists of strong wind gusts up to and exceeding 35 mph ahead, as you begin a long, steady climb up to Sherman Summit, where I-80 reaches its highest point. That highest point is about 35 miles ahead. (Photo taken 5/19/13). Mileage sign located near mile marker 357. It's 43 miles to Laramie and 251 miles to Rock Springs. (Photo taken 5/19/13). Near mile marker 353, variable speed limits go into effect. This is due to the severe weather this stretch of I-80 sees in the winter. But this day, the speed limit was the standard 75 mph. (Photo taken 5/19/13). Interstate 80 West at Exit 348: WY 225 - Otto Road (Photo taken 5/19/13). Interstate 80 West: Road view from mile marker 347, as the slow and steady climb becomes a little more apparent. (Photo taken 5/19/13). Interstate 80 West at Exit 345: Warren Rd / Truck Parking (Photo taken 5/19/13). Interstate 80 West at Exit 342: Harriman Road (Photo taken 5/19/13). Interstate 80 West approaching Exit 339: Remount Rd - 1/4 mile (Photo taken 5/19/13). Interstate 80 West at Exit 339: Remount Rd (Photo taken 5/19/13). Interstate 80 West: Road view from mile marker 338. Still climbing ever so slightly. (Photo taken 5/19/13). Interstate 80 West approaching Exit 335: Buford - 1/4 mile. (Photo taken 5/19/13). Interstate 80 West at Exit 335: Buford. Apparently, the population of Buford is 1 person, and it is the man who owns and operates the gas station off this exit. (Photo taken 5/19/13). Interstate 80 West: Road view from near mile marker 334. (Photo taken 5/19/13). Interstate 80 West at Point of Interests (left exit) located near mile marker 333. (Photo taken 5/19/13). Near mile marker 331, Interstate 80 West enters the Medicine Bow National Forest, as this sign indicates. (Photo taken 5/19/13). Take Exit 329 to Ames Monument. (Photo taken 5/19/13). Also take Exit 329 to the National Forest Recreation Areas. (Photo taken 5/19/13). Interstate 80 West at Exit 329: Vedauwoo Road (Photo taken 5/19/13). The National Forest Recreation Areas can also be accessed via Exit 323. (Photo taken 5/19/13). Interstate 80 West: Road view from near mile marker 325. You can see the presence of snow fences on the hillside straight ahead. Believe me, in the winter, they're definitely needed on this stretch of I-80. (Photo taken 5/19/13). Interstate 80 West approaching Exit 323: WY 210 - Happy Jack Road - 1 mile. (Photo taken 5/19/13). There is a Rest Area off Exit 323 ahead. (Photo taken 5/19/13). Take Exit 323 to the Lincoln Monument. (Photo taken 5/19/13). Elevation: 8,640 feet. This is the highest point on Interstate 80. (Photo taken 5/19/13). 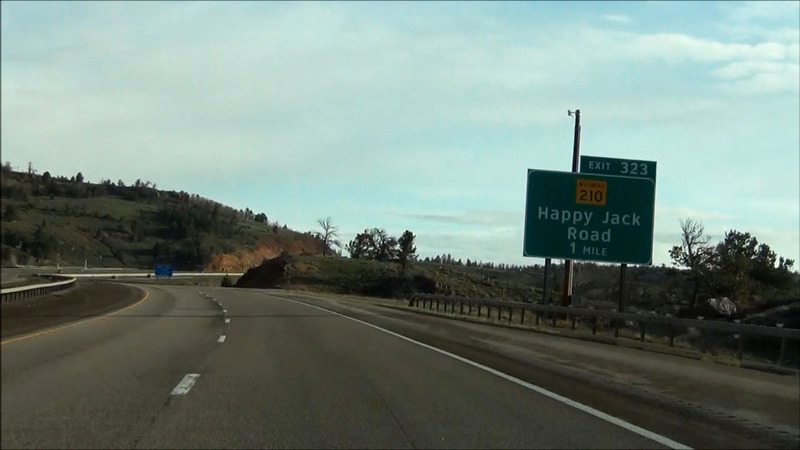 Interstate 80 West at Exit 323: WY 210 - Happy Jack Road (Photo taken 5/19/13). At Exit 323, this warning sign on the left warns that a 5 mile long 5% grade is just ahead as Interstate 80 begins its descent of Sherman Summit. (Photo taken 5/19/13). As you begin the descent, variable speed limits are once again used. At this time, the speed limit was 65 mph. (Photo taken 5/19/13). 'Slippery When Wet' warning sign on the grade. (Photo taken 5/19/13). Mileage sign located near mile marker 322. It's 9 miles to Laramie and 108 miles to Rawlins. (Photo taken 5/19/13). Interstate 80 West: Road view from mile marker 322. The warning sign here alerts trucks to gear down. Get ready for some nice scenery on the way down. (Photo taken 5/19/13). Interstate 80 West: Road view from near mile marker 321.5. (Photo taken 5/19/13). 'Winding Road' warning sign as you continue down. 65 mph is the advised speed. (Photo taken 5/19/13). At this point, the 5% grade continues for 3 more miles. (Photo taken 5/19/13). At mile marker 321, Interstate 80 West leaves the Medicine Bow National Forest. (Photo taken 5/19/13). View as Interstate 80 West continues the descent of Sherman Summit. (Photo taken 5/19/13). Another view on Interstate 80 West. (Photo taken 5/19/13). Interstate 80 West: Road view from near mile marker 320. (Photo taken 5/19/13). Interstate 80 West: Road view from mile marker 319, as you near the bottom. (Photo taken 5/19/13). Near mile marker 318, as you reach the bottom of Sherman Summit, the speed limit of 75 mph resumes. (Photo taken 5/19/13). Take any of the next 4 exits to Laramie. (Photo taken 5/19/13). Take Exit 316 to University of Wyoming. (Photo taken 5/19/13). Also take Exit 316 to the UV Art Museum and War Memorial Stadium. (Photo taken 5/19/13). 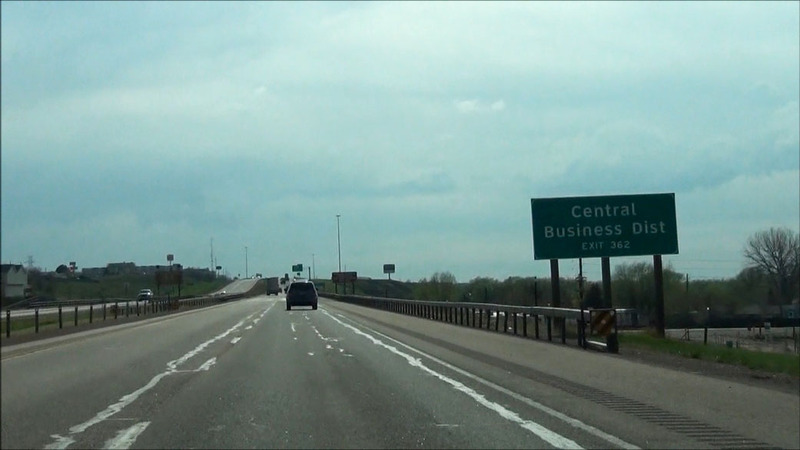 Interstate 80 West at Exit 316: Interstate 80 Business Loop West / US 30 West - Grand Ave (Photo taken 5/19/13). Take Exit 313 to Historic Ivinson Mansion and National Historic District. (Photo taken 5/19/13). There is also a Port of Entry off Exit 313. (Photo taken 5/19/13). Take Exit 311 to Snowy Range Ski Area. (Photo taken 5/19/13). 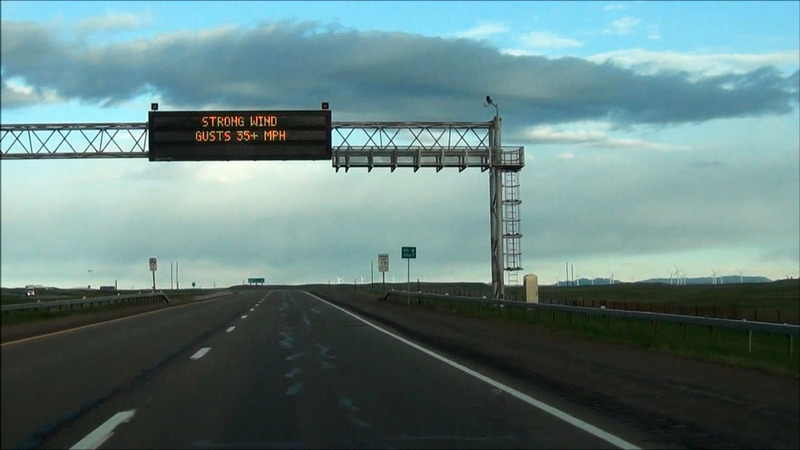 Interstate 80 West at Exit 313: US 287 - 3rd Street / Ft Collins, CO (Photo taken 5/19/13). Take Exit 311 to Wyoming Territorial Prison State Historic Site. (Photo taken 5/19/13). Access the Airport via Exit 311 as well. (Photo taken 5/19/13). Interstate 80 West at Exit 311: WY 130 / WY 230 - Snowy Range Road (Photo taken 5/19/13). Take Exit 310 to Bosler, Rock River, Medicine Bow, and Hanna. (Photo taken 5/19/13). Interstate 80 West at Exit 310: Curtis Street (Photo taken 5/19/13). Interstate 80 West: Road view from mile marker 305. (Photo taken 5/19/13). 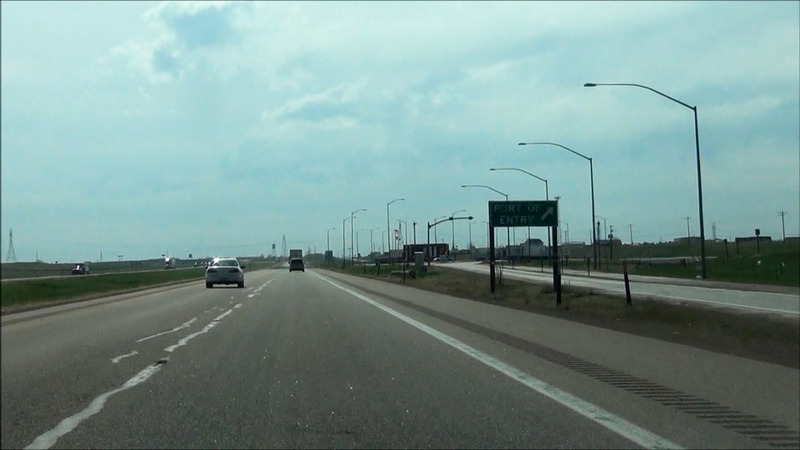 Interstate 80 West at Exit 297: WY 12 - Herrick Lane (Photo taken 5/19/13). Interstate 80 West approaching Exit 290: Quealy Dome Rd - 1/4 mile. (Photo taken 5/19/13). Interstate 80 West at Exit 290: Quealy Dome Rd (Photo taken 5/19/13). Interstate 80 West: Road view from mile marker 285. (Photo taken 5/19/13). Interstate 80 West approaching Exit 279 - Cooper Cove Rd - 3/4 mile. (Photo taken 5/19/13). Interstate 80 West at Exit 279: Cooper Cove Rd (Photo taken 5/19/13). 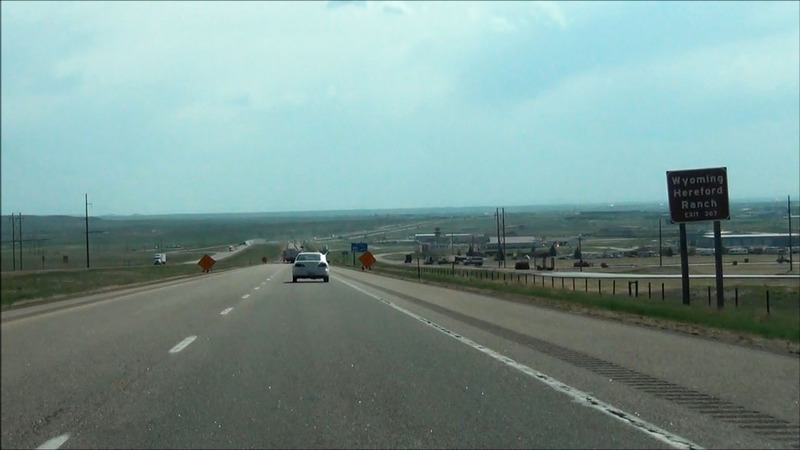 Interstate 80 West at Exit 272: WY 13 - Arlington (Photo taken 5/19/13). Interstate 80 West at Exit 267: Wagonhound Road (Photo taken 5/19/13). Interstate 80 West: Road view from near mile marker 262. (Photo taken 5/19/13). Interstate 80 West at Exit 260: County Rd 402 (Photo taken 5/19/13). 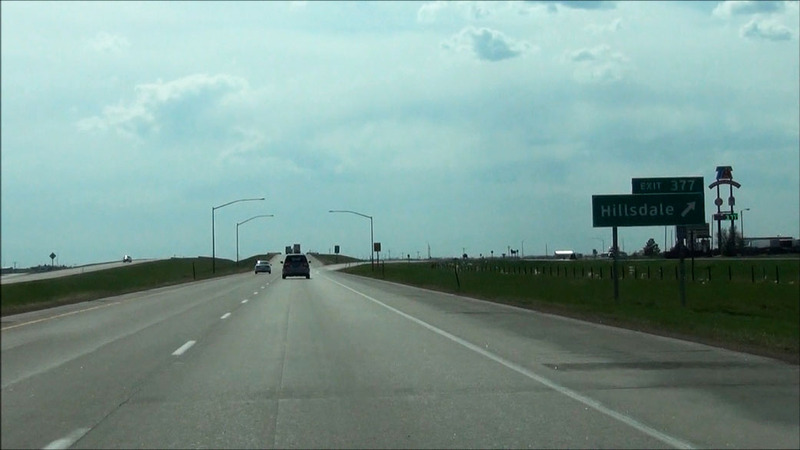 Interstate 80 West at Exit 255: WY 72 - Hanna / Elk Mountain (Photo taken 5/19/13). Interstate 80 West: Road view from mile marker 243. (Photo taken 5/19/13). Interstate 80 West approaching Exit 238: Peterson Road - 1/4 mile. (Photo taken 5/19/13). Interstate 80 West at Exit 238: Peterson Road (Photo taken 5/19/13). Take Exit 235 to Riverside Encampment. (Photo taken 5/19/13). Interstate 80 West at Exit 235: US 287 South / US 30 East / WY 130 East / WY 230 East - Walcott / Saratoga (Photo taken 5/19/13). Take Exit 228 to Fort Steele State Historic Site. (Photo taken 5/19/13). There is a Rest Area located off Exit 228. (Photo taken 5/19/13). 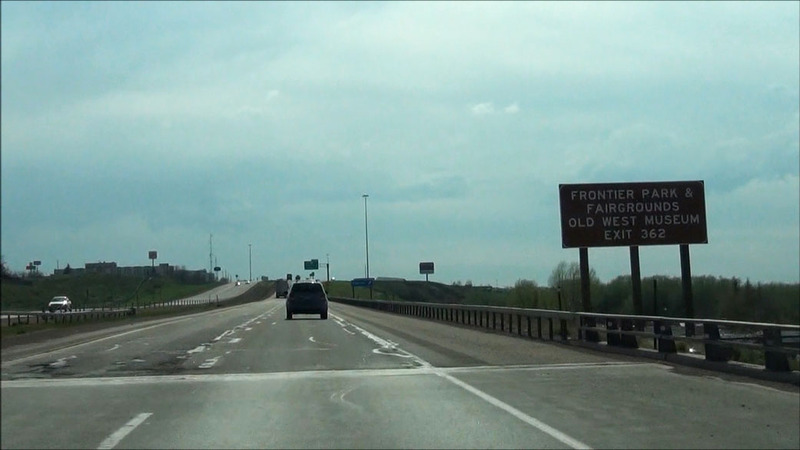 Interstate 80 West at Exit 228: Fort Steele Road (Photo taken 5/19/13). Take either of the next 2 exits to Sinclair. (Photo taken 5/19/13). Take Exit 221 to Parco/Sinclair National Historic District and Museum. (Photo taken 5/19/13). Interstate 80 West at Exit 221: Sinclair (Photo taken 5/19/13). 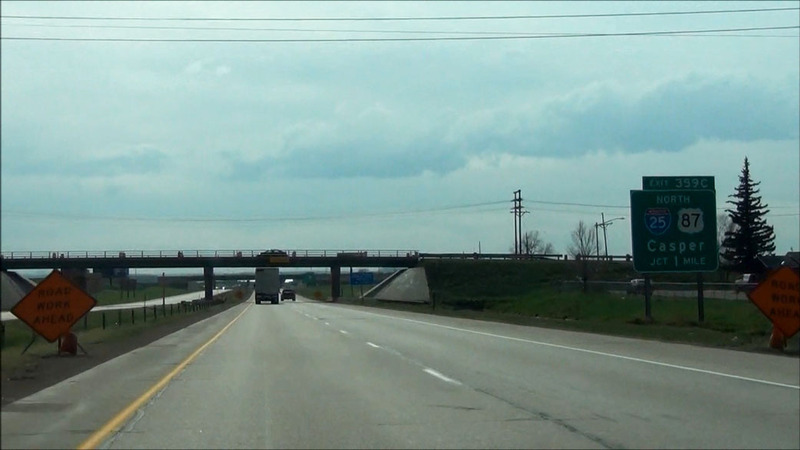 Interstate 80 West at Exit 219: Sinclair (Photo taken 5/19/13). You can access Grand Teton and Yellowstone National Parks via US 287 at Exit 215. (Photo taken 5/19/13). Take any of the next 3 exits to Rawlins. (Photo taken 5/19/13). Take Exit 215 to Carbon County Museum and Wyoming Peace Officers Museum. (Photo taken 5/19/13). Also take Exit 215 to Frontier Prison National Historic Place. (Photo taken 5/19/13). 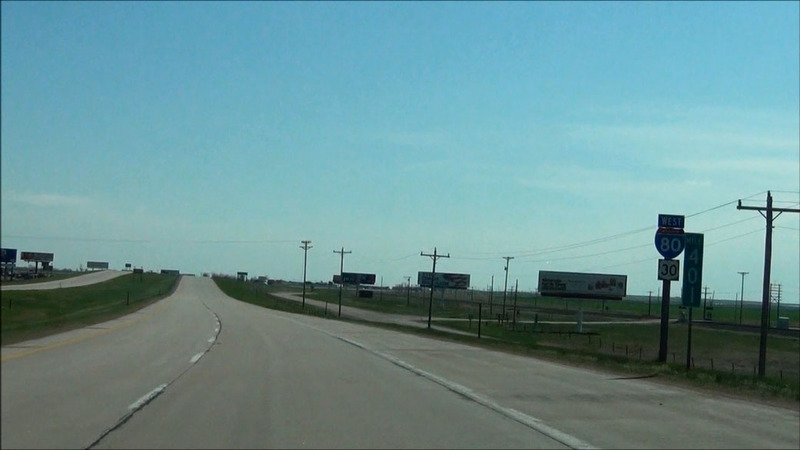 Interstate 80 West at Exit 215: Interstate 80 Business Loop / US 287 North / To WY 789 - Rawlins (Photo taken 5/19/13). Take Exit 214 to the State Penitentiary. (Photo taken 5/19/13). Interstate 80 West at Exit 214: Higley Blvd (Photo taken 5/19/13). Interstate 80 West at Exit 211: Spruce Street (Photo taken 5/19/13). Interstate 80 West at the Weigh Station located at mile marker 211. (Photo taken 5/19/13). Interstate 80 West at Exit 209: Johnson Road (Photo taken 5/19/13). Interstate 80 West approaching Exit 206: Hadsell Rd - 1/4 mile. (Photo taken 5/19/13). Interstate 80 West at Exit 206: Hadsell Rd (Photo taken 5/19/13). Interstate 80 West as it crosses the Continental Divide at an elevation of 7,000 feet, near mile marker 206. (Photo taken 5/19/13). Interstate 80 West approaching Exit 204: Knobs Rd - 1/4 mile. (Photo taken 5/19/13). Interstate 80 West at Exit 204: Knobs Rd (Photo taken 5/19/13). Interstate 80 West approaching Exit 201: Daley Rd - 1/4 mile. (Photo taken 5/19/13). Interstate 80 West at Exit 201: Daley Rd (Photo taken 5/19/13). Interstate 80 West approaching Exit 196: Riner Rd - 1/4 mile. (Photo taken 5/19/13). Interstate 80 West at Exit 196: Riner Rd (Photo taken 5/19/13). Interstate 80 West at the Parking Area located near mile marker 190. (Photo taken 5/19/13). 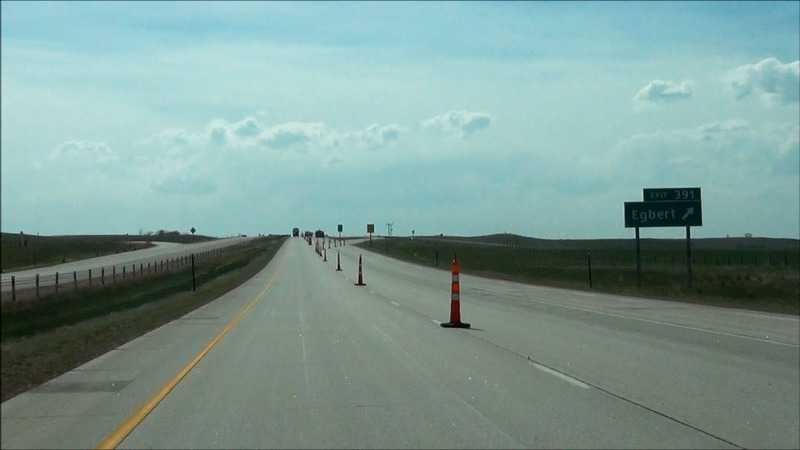 Interstate 80 West at Exit 187: WY 789 South - Creston Junction / Baggs (Photo taken 5/19/13). Interstate 80 West approaching Exit 184: Continental Divide Rd - 1/4 mile. (Photo taken 5/19/13). Interstate 80 West at Exit 184: Continental Divide Rd (Photo taken 5/19/13). Interstate 80 West shield located near mile marker 184. (Photo taken 5/19/13). Interstate 80 West at Exit 173: Wamsutter (Photo taken 5/19/13). Interstate 80 West at Exit 170: Rasmussen Road (Photo taken 5/19/13). Interstate 80 West at Exit 165: Red Desert (Photo taken 5/19/13). Mileage sign located near mile marker 165. It's 58 miles to Rock Springs and 158 miles to Evanston. (Photo taken 5/19/13). Interstate 80 West approaching Exit 158: Tipton Rd - 1/4 mile. (Photo taken 5/19/13). Interstate 80 West at Exit 158: Tipton Rd (Photo taken 5/19/13). Interstate 80 West approaching Exit 156: GL Road - 1/4 mile. (Photo taken 5/19/13). 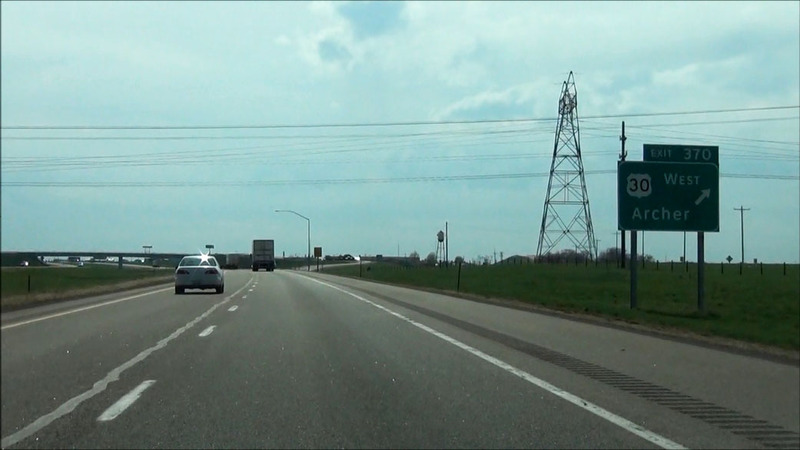 Interstate 80 West at Exit 156: GL Road (Photo taken 5/19/13). Interstate 80 West approaching Exit 152: Bar X Rd - 1/4 mile. (Photo taken 5/19/13). Interstate 80 West at Exit 152: Bar X Rd (Photo taken 5/19/13). Interstate 80 West approaching Exit 150: Table Rock Road - 1/4 mile. (Photo taken 5/19/13). Interstate 80 West at Exit 150: Table Rock Road (Photo taken 5/19/13). Interstate 80 West approaching Exit 146: Patrick Draw Road - 1/4 mile. (Photo taken 5/19/13). Interstate 80 West at Exit 146: Patrick Draw Road (Photo taken 5/19/13). Interstate 80 West at the Rest Area located near mile marker 144. (Photo taken 5/19/13). Interstate 80 West at the Parking Area located near mile marker 143. (Photo taken 5/19/13). Interstate 80 West approaching Exit 142: Bitter Creek Road - 1/4 mile. (Photo taken 5/19/13). Interstate 80 West at Exit 142: Bitter Creek Road (Photo taken 5/19/13). Interstate 80 West approaching Exit 139: Red Hill Road - 1/4 mile. (Photo taken 5/19/13). Interstate 80 West at Exit 139: Red Hill Road (Photo taken 5/19/13). Interstate 80 West approaching Exit 136: Black Butte Road - 1000 feet. (Photo taken 5/19/13). 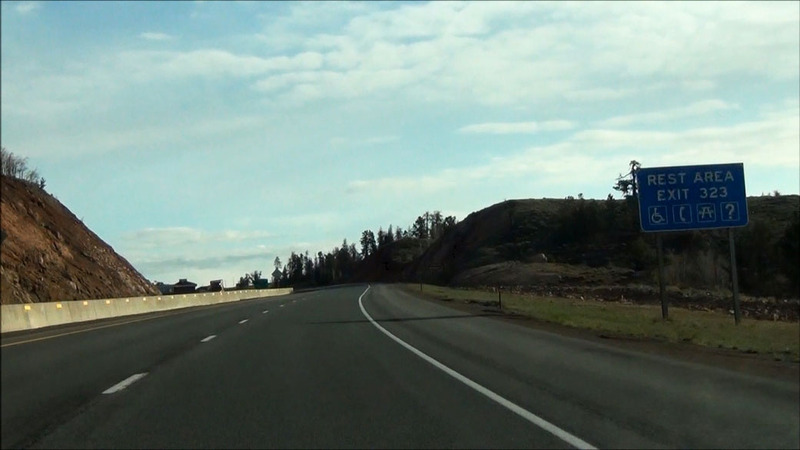 Interstate 80 West at Exit 136: Black Butte Road (Photo taken 5/19/13). Interstate 80 West at the Parking Area located near mile marker 134. (Photo taken 5/19/13). Take Exit 130 to Jim Bridger Power Plant. (Photo taken 5/19/13). Interstate 80 West approaching Exit 130: Point Of Rocks - 1/4 mile. (Photo taken 5/19/13). 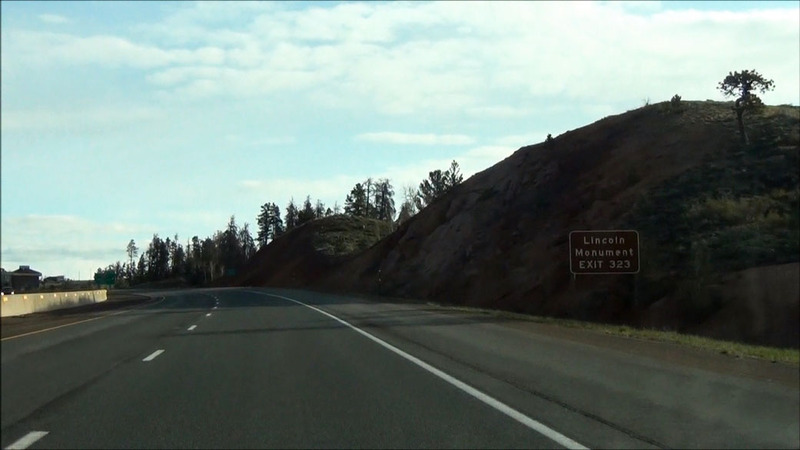 Interstate 80 West at Exit 130: Point Of Rocks (Photo taken 5/19/13). Interstate 80 West: Road view from near mile marker 129. (Photo taken 5/19/13). Interstate 80 West: Another road view from near mile marker 129. (Photo taken 5/19/13). 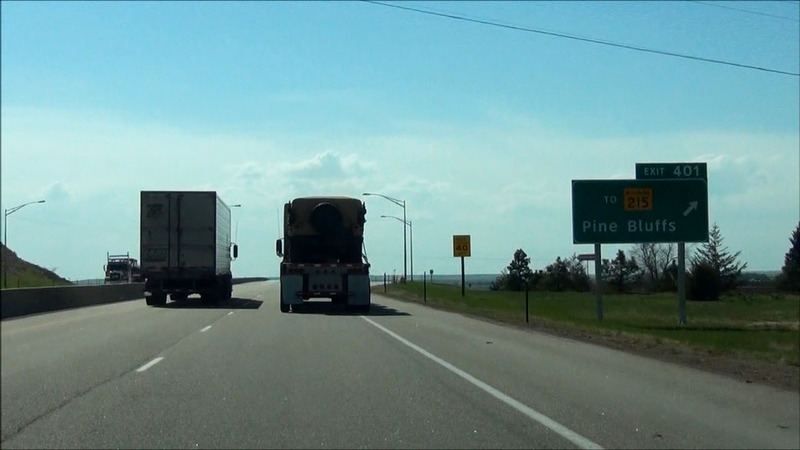 Interstate 80 West at Exit 122: WY 371 - Superior (Photo taken 5/19/13). Interstate 80 West: Road view from mile marker 114. (Photo taken 5/19/13). Interstate 80 West at Exit 111: Airport Road / Baxter Rd (Photo taken 5/19/13). Interstate 80 West: Road view from mile marker 108. (Photo taken 5/19/13). Interstate 80 West at Exit 107: Interstate 80 Business / US 30 Business / To WY 430 - Pilot Butte Ave. Did you catch the signage error here? (Photo taken 5/19/13). Take Exit 104 to Historic Downtown and Sweetwater Events Complex. (Photo taken 5/19/13). Interstate 80 West at Exit 104: US 191 North - Elk Street (Photo taken 5/19/13). Interstate 80 West approaching Exit 103: College Drive - 1/4 mile. (Photo taken 5/19/13). Take Exit 103 to Western Wyoming College. (Photo taken 5/19/13). 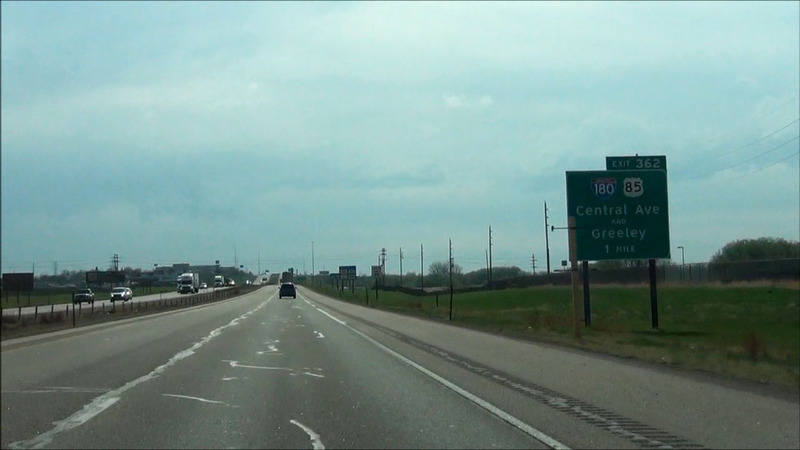 Interstate 80 West at Exit 103: College Drive (Photo taken 5/19/13). Interstate 80 West at Exit 102: Dewar Drive (Photo taken 5/19/13). Take Exit 99 to Flaming Gorge Dam Visitor Center. (Photo taken 5/19/13). 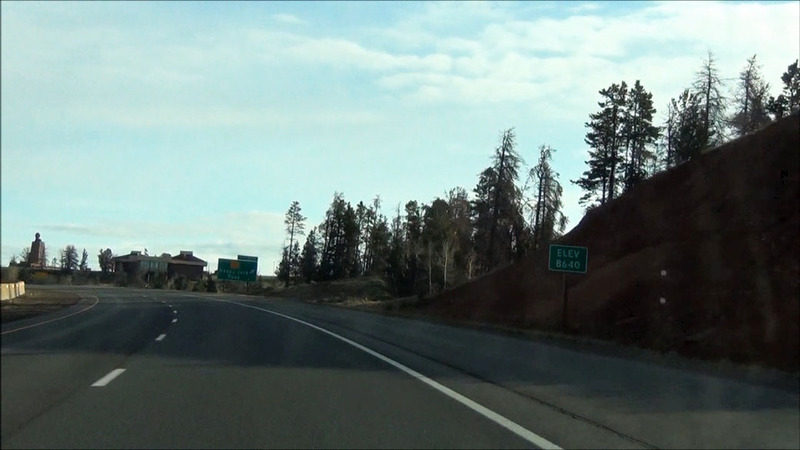 Interstate 80 West at Exit 99: US 191 South - E Flaming Gorge Rd (Photo taken 5/19/13). Interstate 80 West: Road view from near mile marker 95. (Photo taken 5/19/13). Take Exit 91 to Sweetwater County Museum and White Water Kayak Park. (Photo taken 5/19/13). Also take Exit 91 to Expedition Island National Historic Landmark. (Photo taken 5/19/13). Take Exit 91 to Flaming Gorge National Recreational Area. (Photo taken 5/19/13). 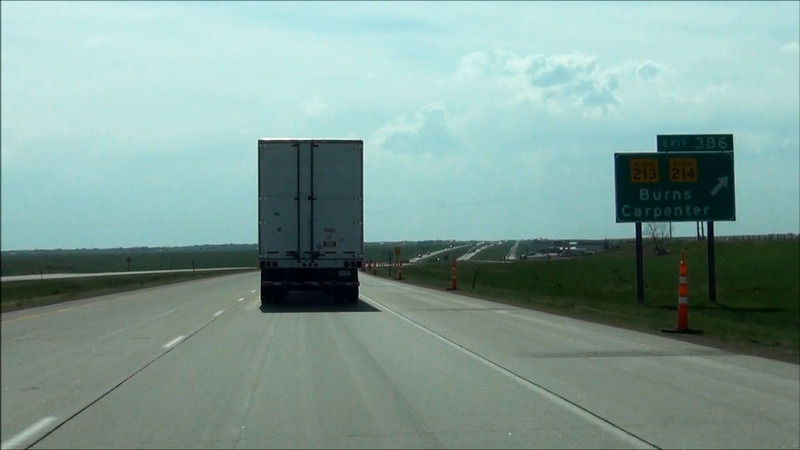 Interstate 80 West at Exit 91: Interstate 80 Business / US 30 Business / To WY 530 - Green River (Photo taken 5/19/13). Interstate 80 West: Road view from near mile marker 90.5, as you prepare to enter the Green River tunnel. (Photo taken 5/19/13). The speed limit drops to 65 mph as you prepare to enter the tunnel. Once again, this speed limit is variable. (Photo taken 5/19/13). Entering the tunnel. (Photo taken 5/19/13). View from inside the tunnel. This tunnel is one of 3 located on Interstate 80 across the country. The others are in Nevada and California. (Photo taken 5/19/13). Interstate 80 West: Road view from near mile marker 90, just on the west side of the tunnel. (Photo taken 5/19/13). Interstate 80 West at Exit 89: Green River (Photo taken 5/19/13). Interstate 80 West: Road view from mile marker 89. (Photo taken 5/19/13). At the bottom of this grade, the standard speed limit of 75 mph resumes. (Photo taken 5/19/13). Mileage sign located near mile marker 88. It's 20 miles to Little America and 85 miles to Evanston. (Photo taken 5/19/13). Interstate 80 West at Exit 85: Covered Wagon Rd (Photo taken 5/19/13). Take Exit 83 to Fontenelle Dam and Seedskadee National Wildlife Refuge. (Photo taken 5/19/13). Also take Exit 83 to OCI Wyoming and FMC Granger Mine. (Photo taken 5/19/13). 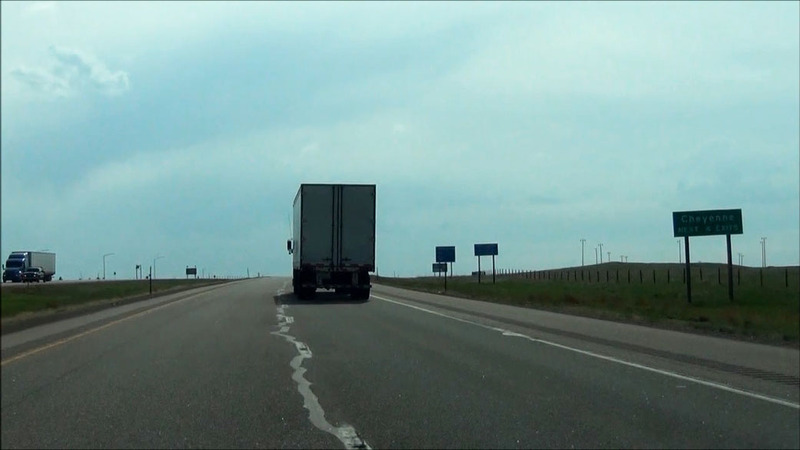 Interstate 80 West at Exit 83: WY 372 - La Barge Road (Photo taken 5/19/13). Take Exit 72 to FMC Corp, Tata Chemicals, Church & Dwight, and Solvay Chemicals. (Photo taken 5/19/13). Interstate 80 West at Exit 72: Westvaco Road (Photo taken 5/19/13). Interstate 80 West at the Parking Area located near mile marker 71. (Photo taken 5/19/13). 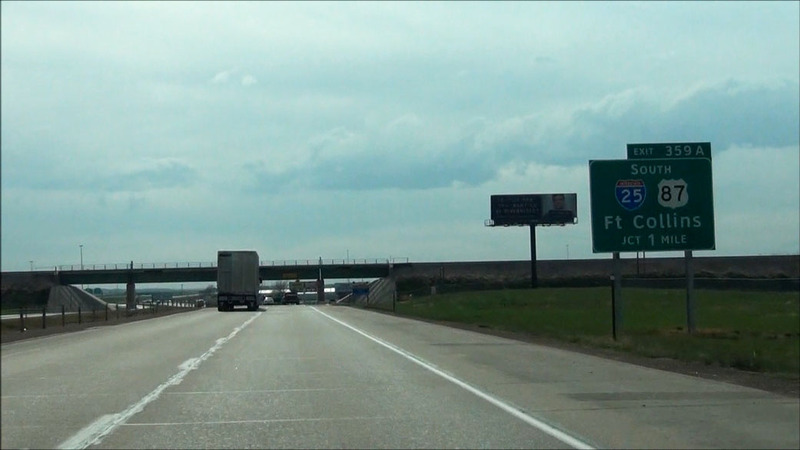 Interstate 80 West at Exit 68: Little America (Photo taken 5/19/13). Take the next exit (Exit 66) to access Grand Teton and Yellowstone National Parks via US 30. (Photo taken 5/19/13). Interstate 80 West at Exit 66: US 30 West - Kemmerer / Pocatello (Photo taken 5/19/13). Interstate 80 West approaching Exit 61: Cedar Mountain Rd - 1/4 mile. (Photo taken 5/19/13). Interstate 80 West at Exit 61: Cedar Mountain Rd (Photo taken 5/19/13). Interstate 80 West at the Parking Area located near mile marker 60. (Photo taken 5/19/13). Interstate 80 West approaching Exit 53: Church Butte Road - 1/4 mile. (Photo taken 5/19/13). 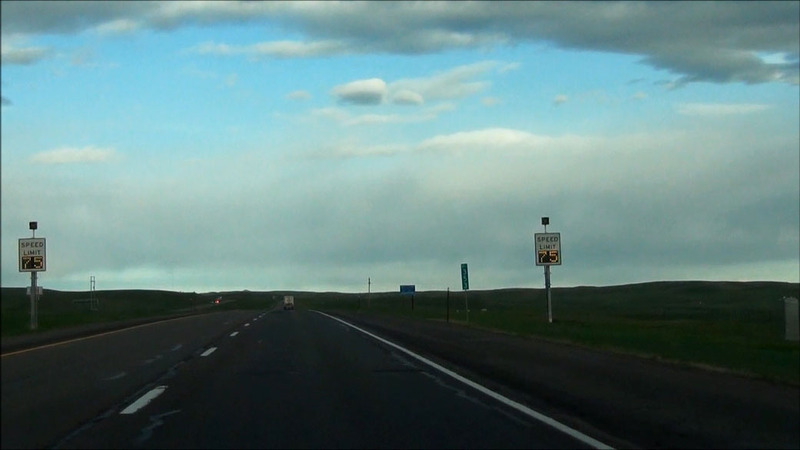 Interstate 80 West at Exit 53: Church Butte Road (Photo taken 5/19/13). A very detailed sign located near mile marker 50, showing Interstate 80 Business Loop's route into Fort Bridger and Lyman, as well as the other state roads which connect to it. (Photo taken 5/19/13). Interstate 80 West at the Parking Area located near mile marker 49. (Photo taken 5/19/13). 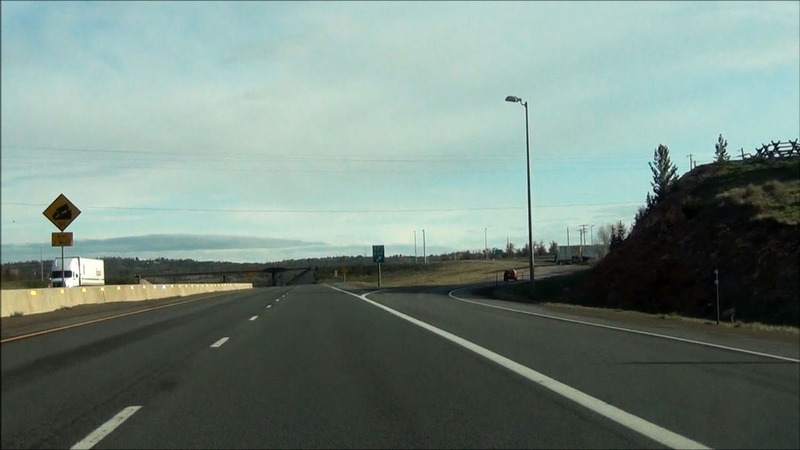 Interstate 80 West at Exit 48: Interstate 80 Business Loop - Lyman / Ft Bridger (Photo taken 5/19/13). There is a Rest Area located off Exit 41. (Photo taken 5/19/13). 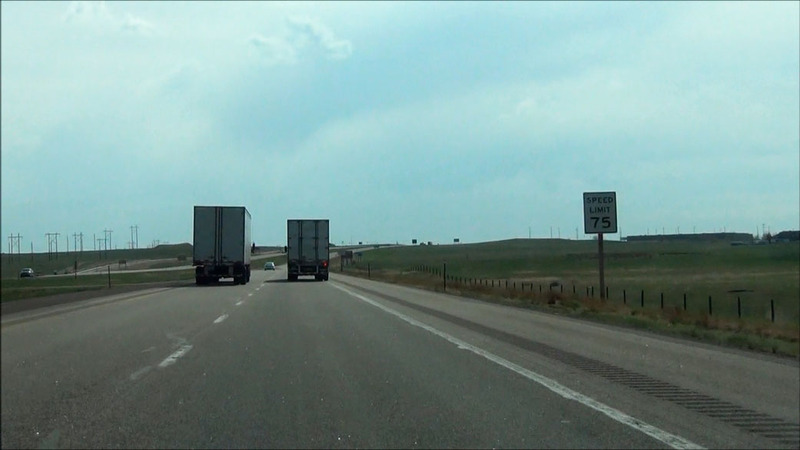 Interstate 80 West at Exit 41: WY 413 - Lyman / Rest Area (Photo taken 5/19/13). Interstate 80 West at Exit 39: WY 412 / WY 414 - Carter / Mountain View (Photo taken 5/19/13). Take Exit 34 to the Chain Up Area. You're about to traverse three grades, known as the "Three Sisters", ahead and installing chains might be required for trucks to continue in the winter. However, if you need chains to continue, you don't need to continue as some truck drivers will tell you. (Photo taken 5/19/13). Take Exit 34 to Ft Bridger State Historic Site and Museum. (Photo taken 5/19/13). 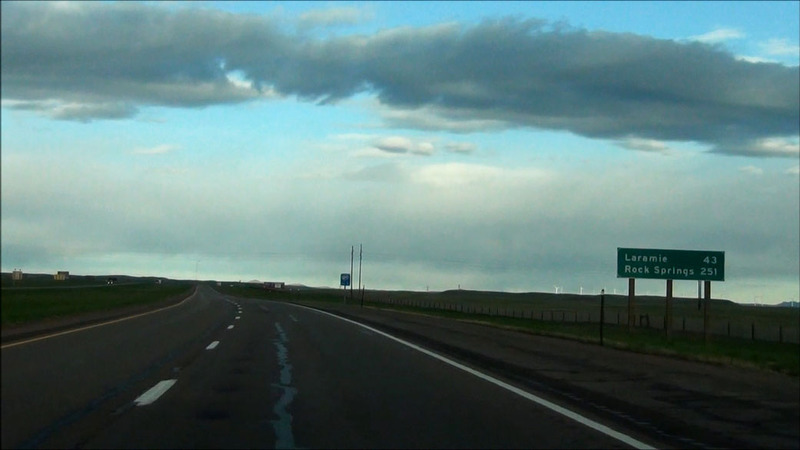 Interstate 80 West at Exit 34: Fort Bridger (Photo taken 5/19/13). Interstate 80 West at Exit 33: Union Road (Photo taken 5/19/13). Mileage sign located near mile marker 32. It's 28 miles to Evanston and 108 miles to Salt Lake City. (Photo taken 5/19/13). Interstate 80 West at Exit 30: Bigelow Road (Photo taken 5/19/13). Interstate 80 West approaching Exit 28: French Rd - 1/4 mile. (Photo taken 5/19/13). Interstate 80 West at Exit 28: French Rd (Photo taken 5/19/13). Interstate 80 West as you approach the first of three upcoming grades, or the first of the 'Three Sisters'. This first one is a 5% grade which lasts for the next 3 miles. (Photo taken 5/19/13). Interstate 80 West at the Parking Area located near mile marker 28. (Photo taken 5/19/13). As you start down the grade, variable speed limits make a return. Because conditions were normal at the time, the speed limit remained at 75 mph. (Photo taken 5/19/13). Interstate 80 West: Road view from near mile marker 27. (Photo taken 5/19/13). Interstate 80 West: Road view from mile marker 26, as you continue to go down. (Photo taken 5/19/13). Interstate 80 West: Road view from mile marker 25, as you near the bottom of the first grade. (Photo taken 5/19/13). Interstate 80 West approaching Exit 24: Leroy Rd - 1/4 mile. (Photo taken 5/19/13). Interstate 80 West at Exit 24: Leroy Rd (Photo taken 5/19/13). Interstate 80 West approaching Exit 23: Bar Hat Rd - 1/4 mile. (Photo taken 5/19/13). Interstate 80 West at Exit 23: Bar Hat Rd (Photo taken 5/19/13). Interstate 80 West approaching Exit 21: Coal Rd - 1/4 mile. (Photo taken 5/19/13). Interstate 80 West at Exit 21: Coal Rd. In case you haven't noticed, we've begun climbing the 2nd "sister". A third lane appears here for slower traffic during the climb. (Photo taken 5/19/13). Interstate 80 West: Road view from mile marker 21, as the climb continues. (Photo taken 5/19/13). Interstate 80 West: Road view from near mile marker 20, as you begin your descent down the 2nd of three grades. (Photo taken 5/19/13). Interstate 80 West approaching Exit 18 - 1 mile. (Photo taken 5/19/13). 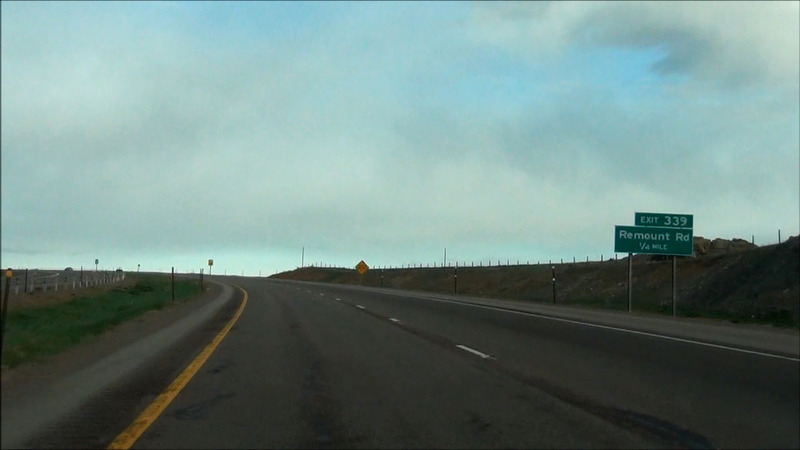 Interstate 80 West at Exit 18: US 189 North - Kemmerer (Photo taken 5/19/13). Interstate 80 West: Road view from mile marker 17, as you climb the final grade of the three. (Photo taken 5/19/13). Interstate 80 West: Road view from near mile marker 15. Once again, a third lane is present for slower traffic during the ascent. (Photo taken 5/19/13). Interstate 80 West approaching Exit 13: Divide Rd - 1/4 mile. (Photo taken 5/19/13). Interstate 80 West at Exit 13: Divide Rd (Photo taken 5/19/13). Interstate 80 West: Road view from near mile marker 13, as you start down the third and final grade of the "Three Sisters". (Photo taken 5/19/13). Near mile marker 12, you approach the bottom of the final grade. (Photo taken 5/19/13). Interstate 80 West approaching Exit 10: Painter Rd - 1/4 mile. (Photo taken 5/19/13). Interstate 80 West at Exit 10: Painter Rd (Photo taken 5/19/13). Interstate 80 West at the Chain Removal Area located near mile marker 9. (Photo taken 5/19/13). Take any of the next 3 exits to Evanston. (Photo taken 5/19/13). Take Exit 5 to Historic Downtown and River Walk. (Photo taken 5/19/13). Take Exit 6 to Bear River State Park. (Photo taken 5/19/13). Also at Exit 6 is the Wyoming State Information Center and Rest Area. (Photo taken 5/19/13). 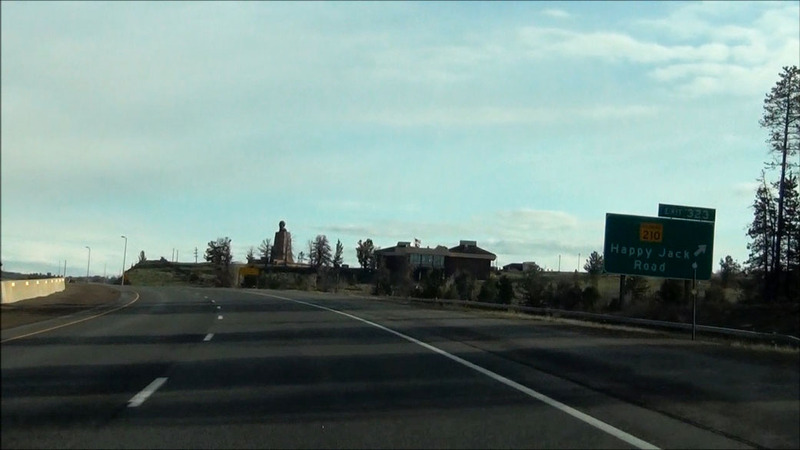 Interstate 80 West at Exit 6: Interstate 80 Business / US 189 Business / To WY 89 - Bear River Drive (Photo taken 5/19/13). Interstate 80 West at Exit 5: WY 89 North / WY 150 - Front St (Photo taken 5/19/13). Interstate 80 West at Exit 3: Harrison Drive (Photo taken 5/19/13). Mileage sign located near mile marker 3. It's 3 miles to the Utah state line and 81 miles to Salt Lake City. (Photo taken 5/19/13). 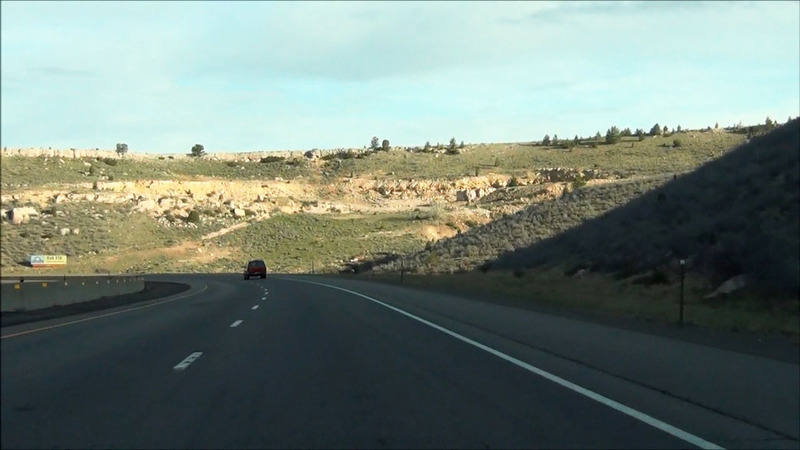 Interstate 80 West: Road view from near mile marker 0, as I-80 prepares to enter Utah. (Photo taken 5/19/13).